The women of the Antrim Mennonite Choir give us a beautiful message that we can carry in our hearts all week. Paul's primary target here is Greek philosophy, which is to say, the fruitlessness of human endeavors to know God by logic. The Greeks had, for centuries, been the center of schools of philosophers who believed they could eventually discover ultimate truth by thinking things through. They devised elaborate metaphysical schemes to explain puzzles like the "meaning of meaning" and the purpose of life. Our brains are simply not instruments capable of understanding God; God must come to us. "The foolishness of God is wiser than men," which is to say, the simplest thing about God is not within the mental capability of the smartest human. The other folly Paul discusses, typical of the Jews of his day and superstitious people today, is to "demand signs". They expect that God will be known through their senses or their emotions rather than the mind. This expectation is closer to the truth than the Greek, for God did make himself known through miracles. 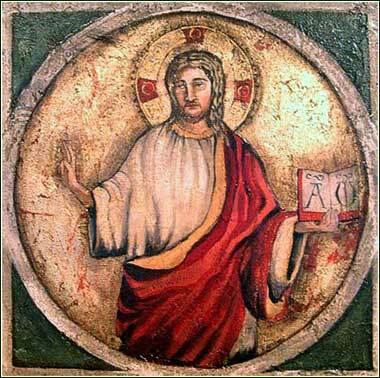 Christ was known by signs, a phenomenon emphasized in John's Gospel. The difficulty for those who say "I'll believe it when I see it" is that God is in charge, not us. He performs His miracles if and when He sees fit.